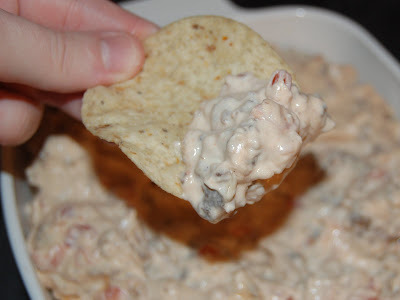 Holy moly, this dip is delicious. I really just can't say enough good things about it. It's spicy and creamy and dangerously addictive. I made this for us to enjoy during the Super Bowl and neither Joe nor I could stop talking about it the whole night. In fact, days later, we are still talking about it. It's that good. But don't take my word for it. Go make this, RIGHT NOW, and find out for yourself! I promise you won't be sorry. That sounds great. I will keep this recipe and try it sometime. Thanks!